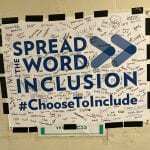 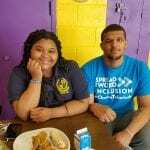 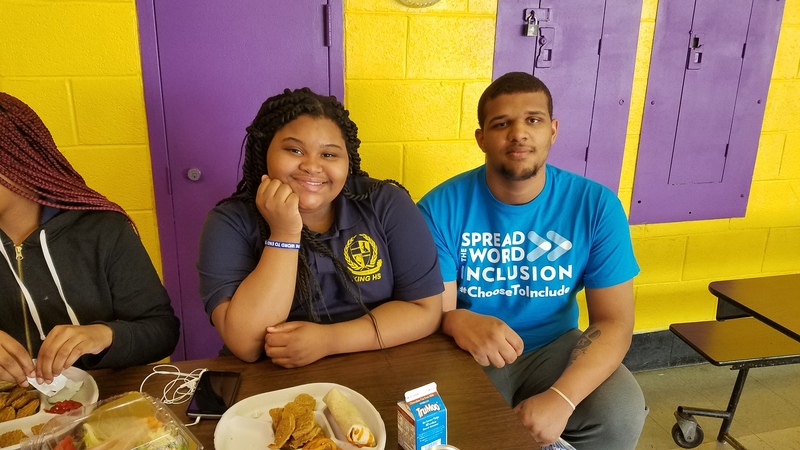 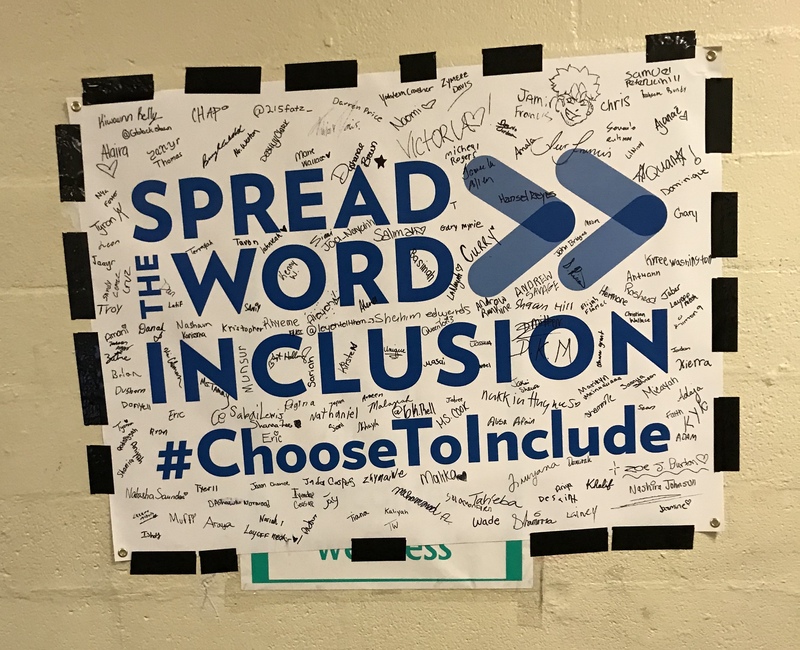 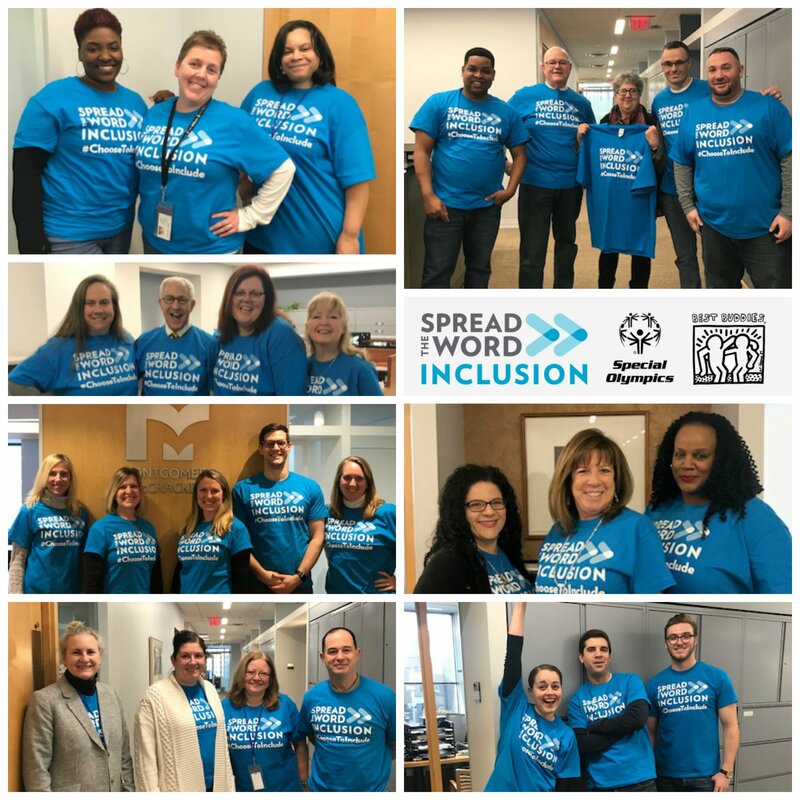 The global day for 2019 Spread the World: Inclusion was Wednesday, March 6, 2019. 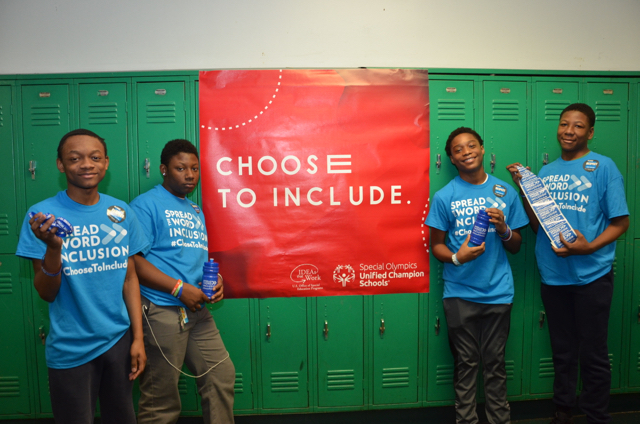 However, our athletes, Unified Champion Schools, Young Professionals Committee, and Executive Advisory Board celebrated throughout the month. 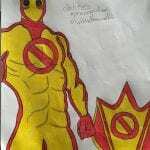 Sayre High School created an art contest where students were asked to create a superhero with an anti-violent theme. 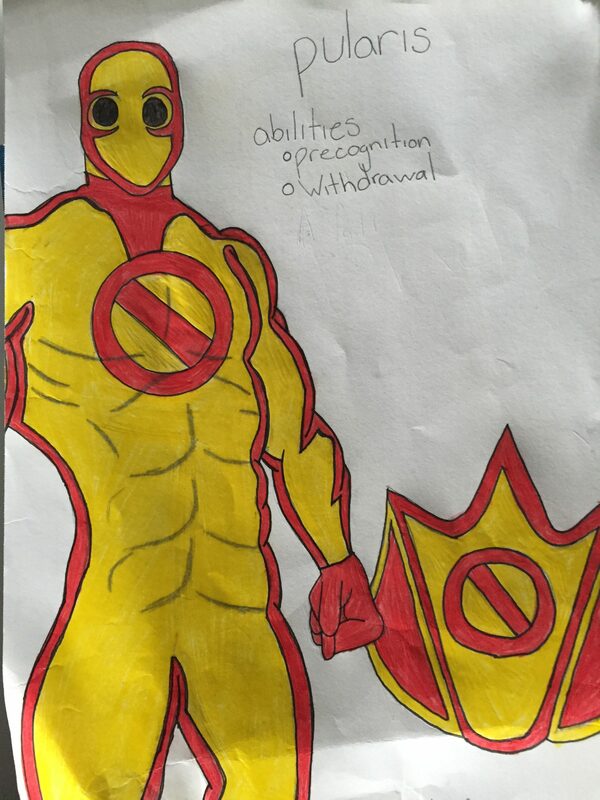 Along with their drawing, students had to say what their superpowers were that made them an anti-violent superhero. 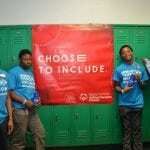 Winners were chosen by the Unified Sports team. 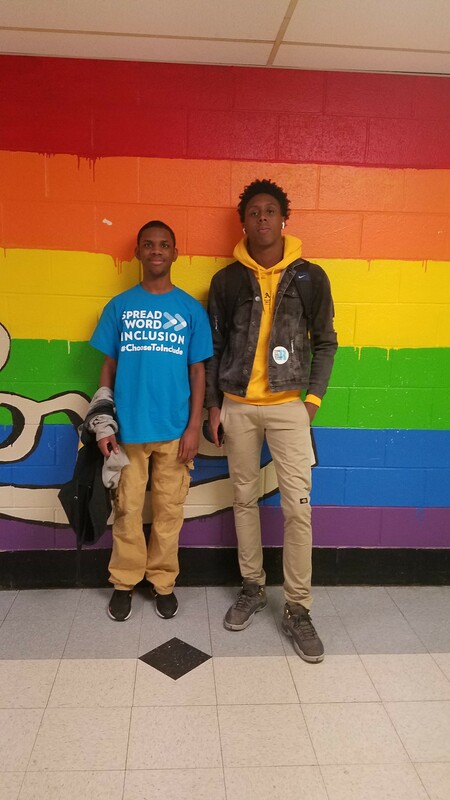 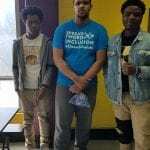 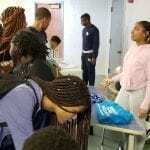 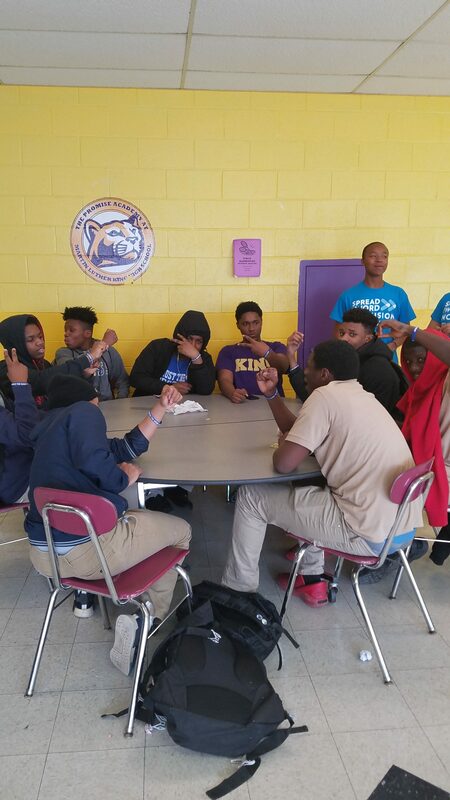 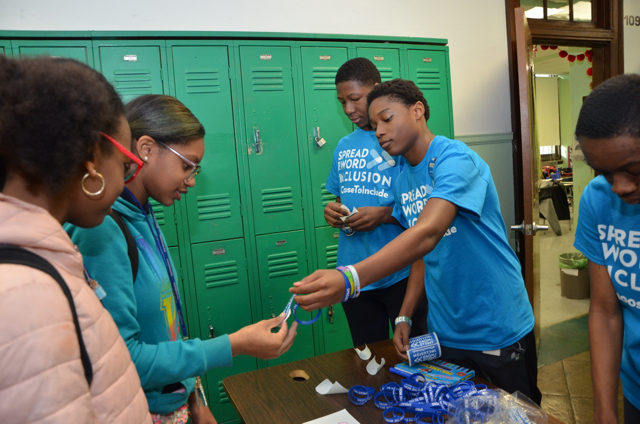 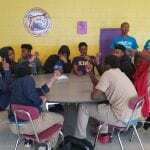 Hill Freedman World Academy took to the halls and collected online pledges where students agreed to include those who might need a friend or someone sitting on the sidelines. 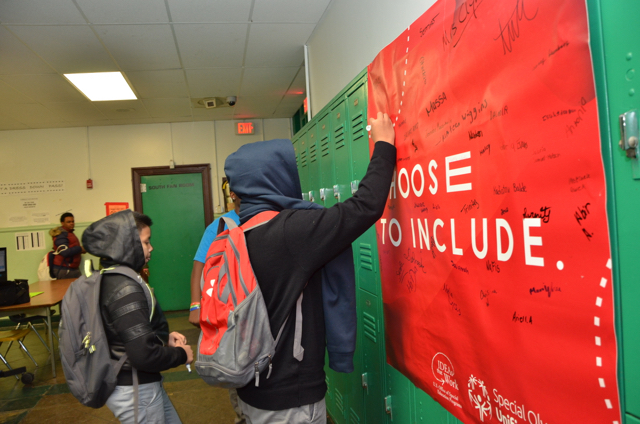 Middle Years Alternative (MYA) had students sign a banner than they hung to pledge their commitment to inclusion. 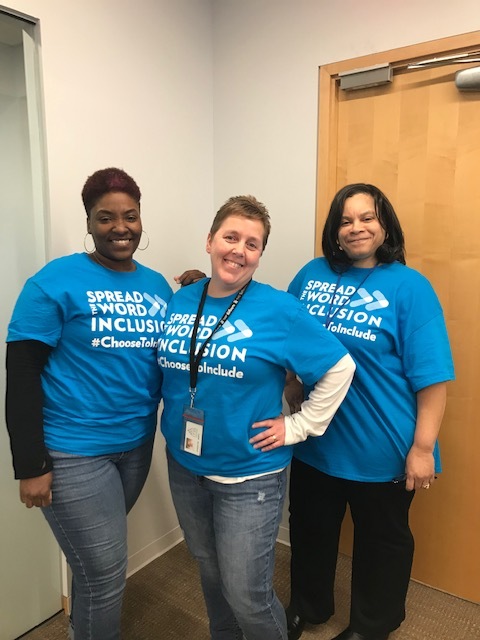 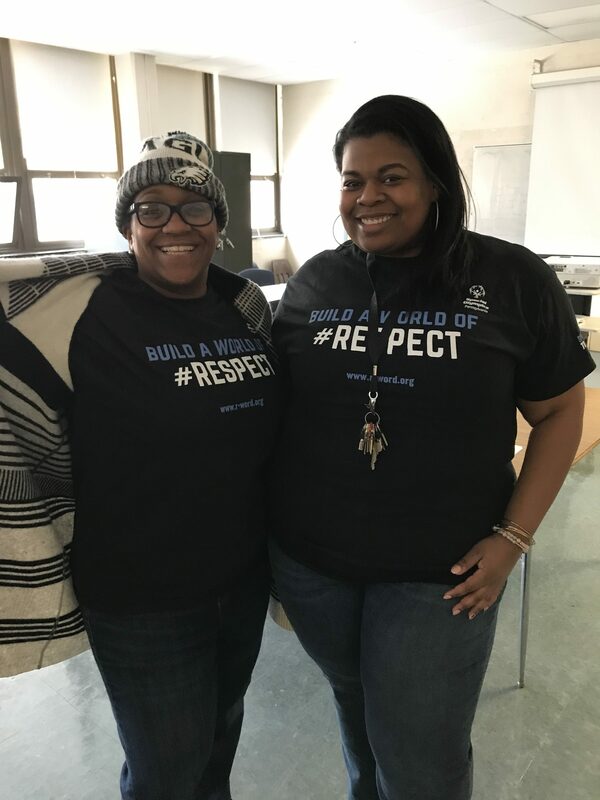 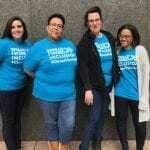 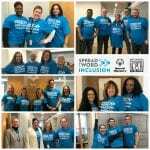 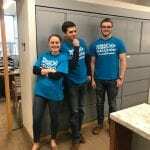 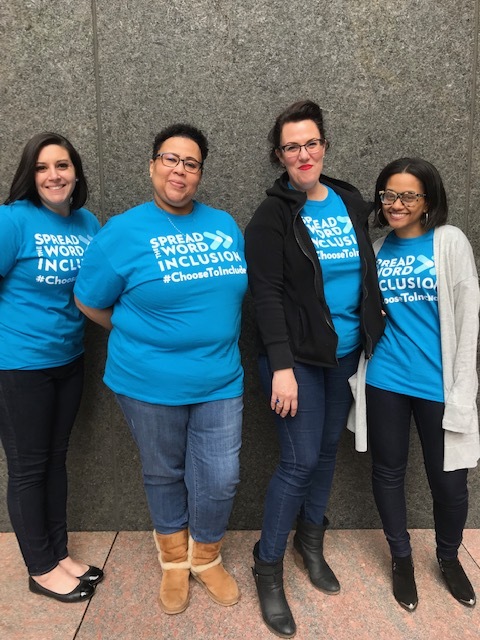 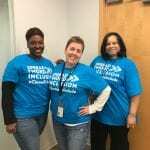 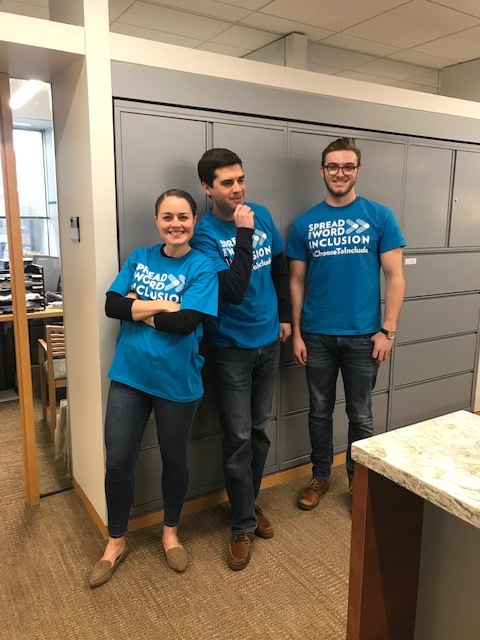 Stradley Ronon staff donned the Spread the Word: Inclusion shirt and had information on how to get involved with Special Olympics PA – Philadelphia displayed on their televisions throughout the building. 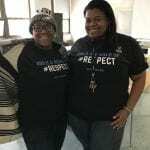 One of the employees at Stradley even got their daughters school involved where teachers wore the shirts too! 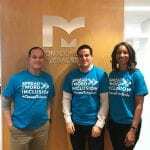 Montgomery McCracken’s Veterans and Individuals with Disabilities group, a subgroup of the firm’s Diversity Committee, was proud to spearhead the Spread the Word event at their office. 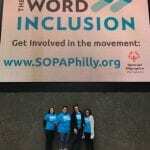 The attorneys and staff participated in a “Jeans Day” to raise money for Special Olympics PA – Philadelphia! 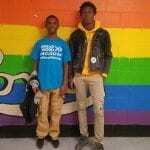 If they donated to the cause, they were able to wear jeans and their Spread the Word shirts! 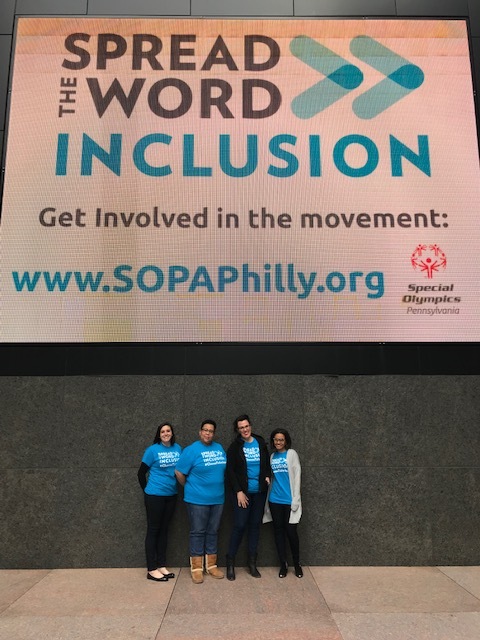 Brandywine Realty Trust employees also had a dress down day and displayed our message on the jumbo screen at Commerce Square. 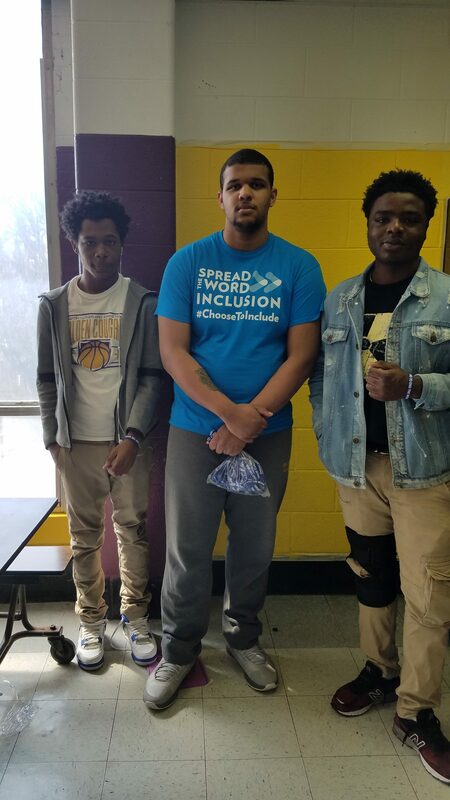 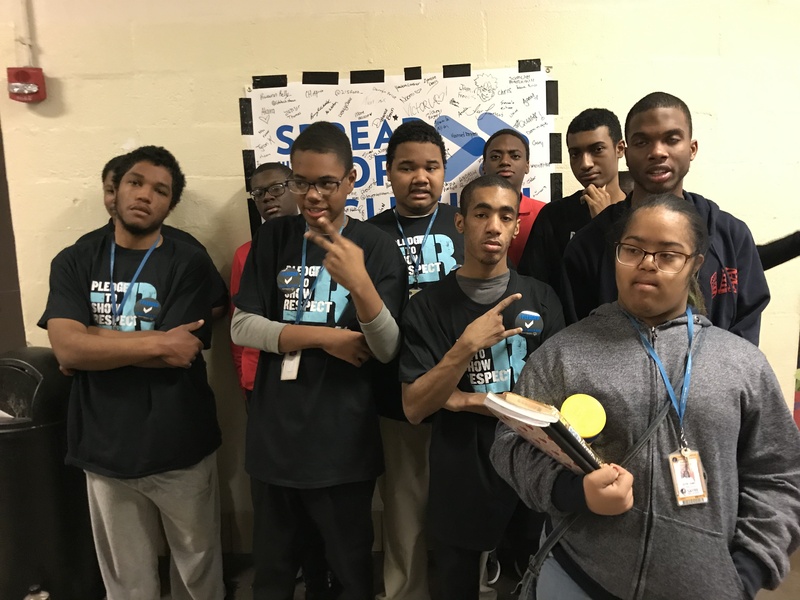 MLK High School students pose for inclusion! 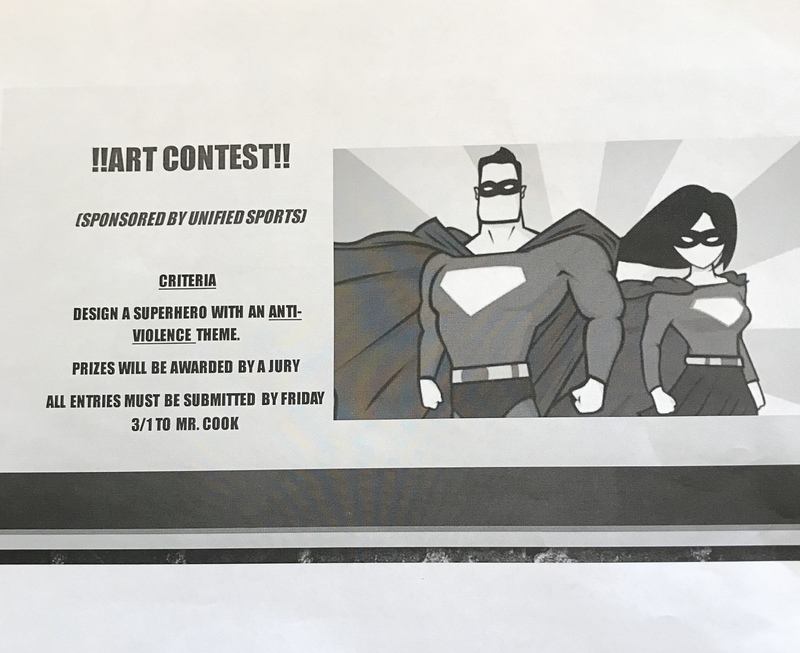 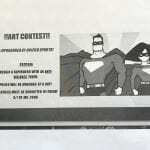 Flyer for Sayre’s anti-violent superhero art contest. 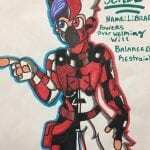 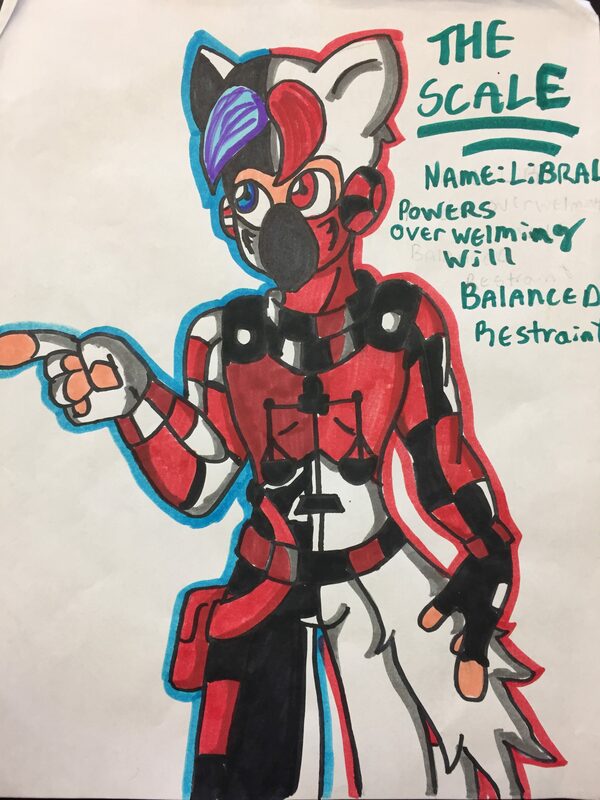 1 of 2 winners of Sayre’s anti-violent superhero art contest.